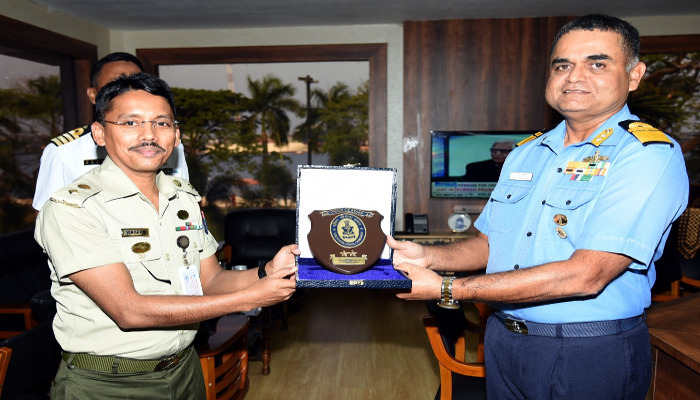 BNS Dhaleshwari of Bangladesh Navy is on a goodwill visit to Kochi from 01 to 04 February 2019. The ship is commanded by Captain (G) Mohammad Mahabbat Ali. 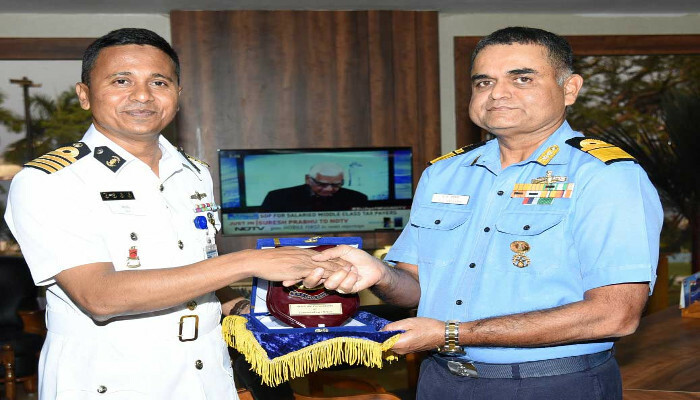 On 01 February 2019, Commanding Officer BNS Dhaleshwari accompanied by Lieutenant Colonel Sheikh Ramiz Uddin Mohammad Waseem, resident Assistant Defence Advisor from Bangladesh High Commission, New Delhi called on Rear Admiral RJ Nadkarni, AVSM, VSM, Chief of Staff, Southern Naval Command and interacted over professional subjects of common interests to both navies, followed by exchange of crests. 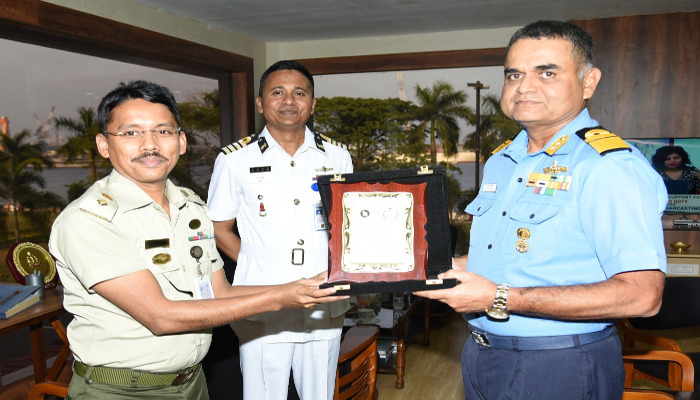 During the stay at Kochi, various activities viz; visit of IN specialist onboard BNS Dhaleshwari and professional interaction between the two navies have been planned. 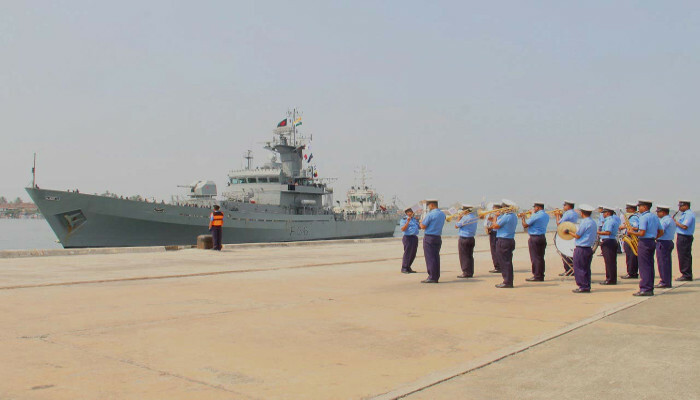 The visiting foreign ship’s crews would be given a conducted tour of different training units of Southern Naval Command such as Signal School, Navigation & Direction School and Anti- Submarine School. A friendly football match is also being conducted between teams from both navies. India’s bilateral relations with Bangladesh are rooted in historical social and cultural interactions and extensive people-to-people contact. Since 1974, Bangladesh is having regular training interaction with IN and same has seen a steady increase in recent years. BN avails a wide spectrum of courses including Long Courses & Technical Specialisation Courses for officers and a few advanced courses for sailors. Capt Mahabbat Ali, himself has undergone the Gunnery Specialisation course at INS Dronacharya in 2006-07. BNS Dhaleshwari is planned to depart Kochi 04 February 2019 to participate in the Navy Defence Exhibition (NAVDEX-2019) at Abu Dhabi. There are about 183 crew members including 28 Officers and 153 sailors sailing on board during current visit.